USB power cable to power 2 USB enabled devices as you ride. Built in waterproof converter creates the correct power needed to charge devices such as I Pods, I Phones, I Pad's, Cell Phones, In Reach, Garmin, E Cig Pens, POV Cameras, Satellite Phones, etc. Pretty much anything with a USB plug will function. 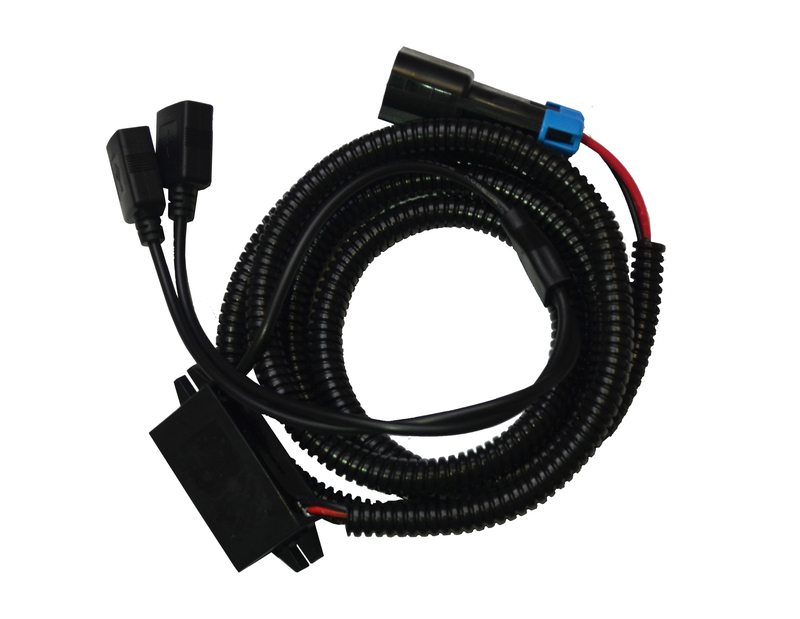 Stock/OEM connectors allow simple plug and play installation into factory harness, no wire cutting or battery requirements. For use inside a storage bag such as windshield bags, dash bags, or handlebar bags. Not recommended for external use.